2 x packs of 10 WizzPegs. Choose which colours you would like. Excellent product. A few of my original pegs have broken at the clasp/locking point but I am very satisfied and now I am re-ordering another lot of pegs. 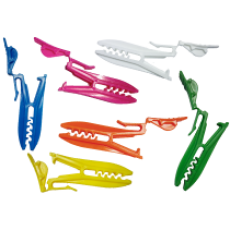 I was given a few sample pegs many years ago when this product was first launched. Have used them ever since. First time I am reordering. Can't recommend this peg enough.